Smartwatches are becoming increasingly versatile and adaptable. If you've been on the fence about jumping into the smartwatch world, perhaps this deal for one of the top-rated and most popular products on the market will convince you. The Pebble Time Smartwatch is now just $119.99 in the TechSpot Store. With the Pebble Time you can instantly follow your calendar events, texts, emails, phone calls, appointments and app information in an easy to view and follow timeline format--all with a simple glance at your wrist. 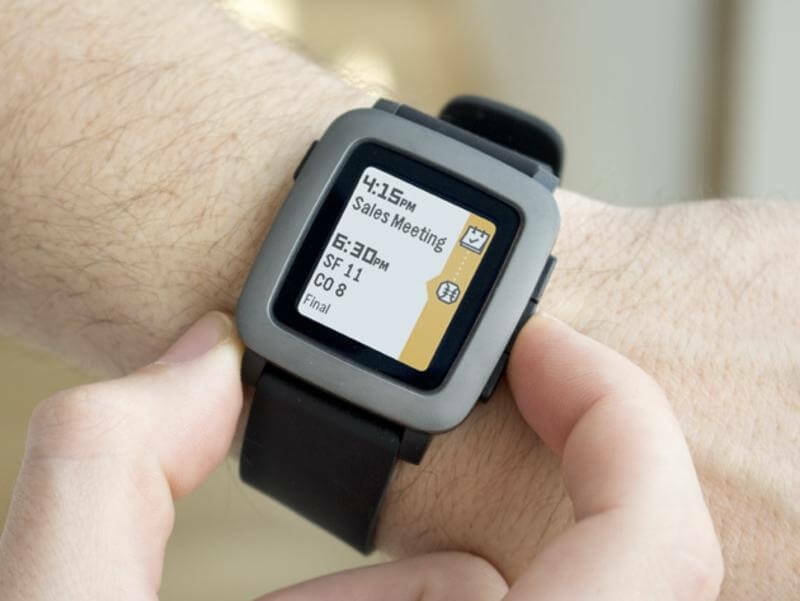 The Pebble has hundreds of on-board and downloadable app functions available, including sleep and daily activity trackers, a built-in microphone for dictating voice notes or texts, gentle vibrating alarms to signal important reminders, and even streaming of your favorite songs from Bluetooth-enabled devices. No matter whether you’re an Android or iPhone supporter, the Pebble syncs neatly with other and it even holds a charge for up to a single week’s worth of wear before you’ve got to plug it back in. It's one of the highest rated smartwatch devices out there and you can get one right now at 20% off its regular price.